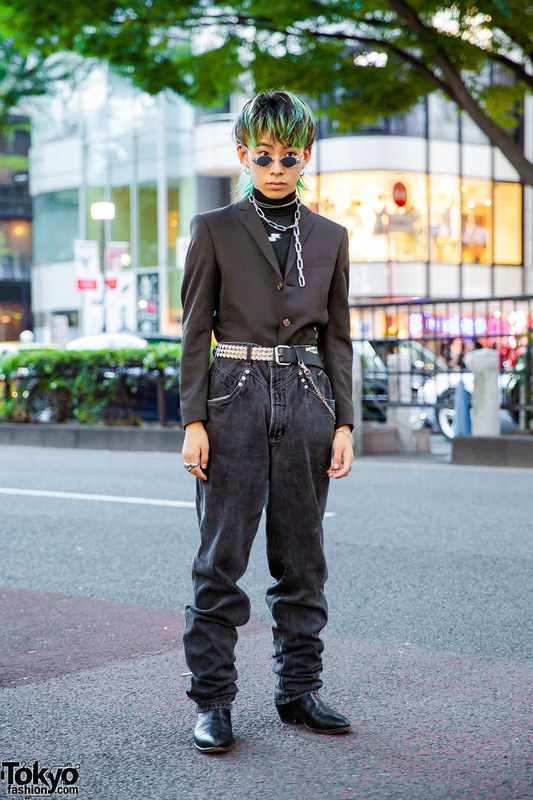 Japanese student with green hair in all black vintage streetwear in Harajuku. 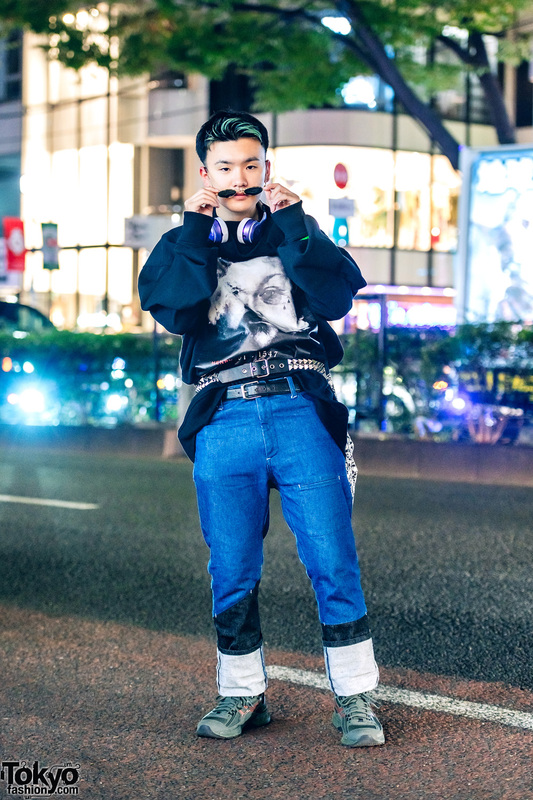 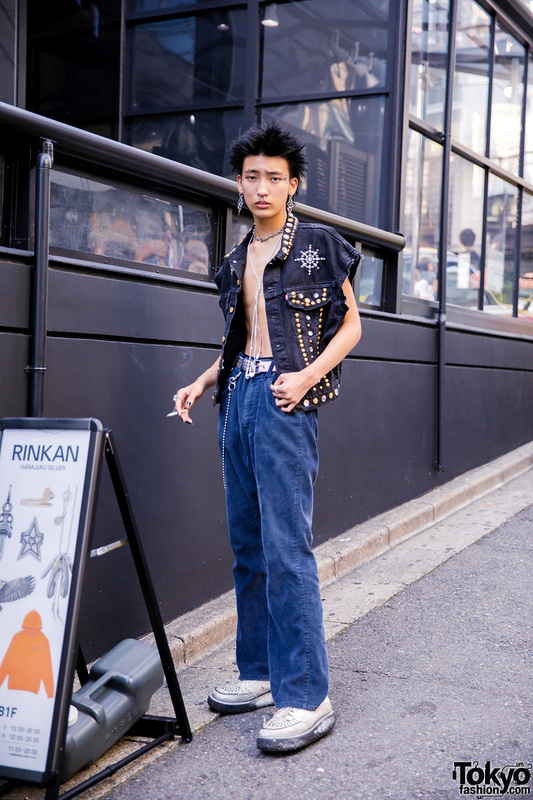 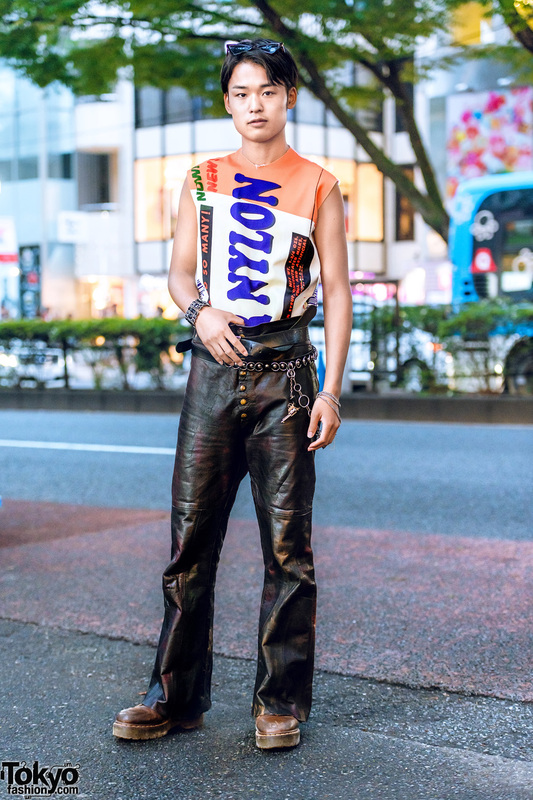 Harajuku guy wearing a studded vest, vintage corduroy pants, and scuffed creepers. 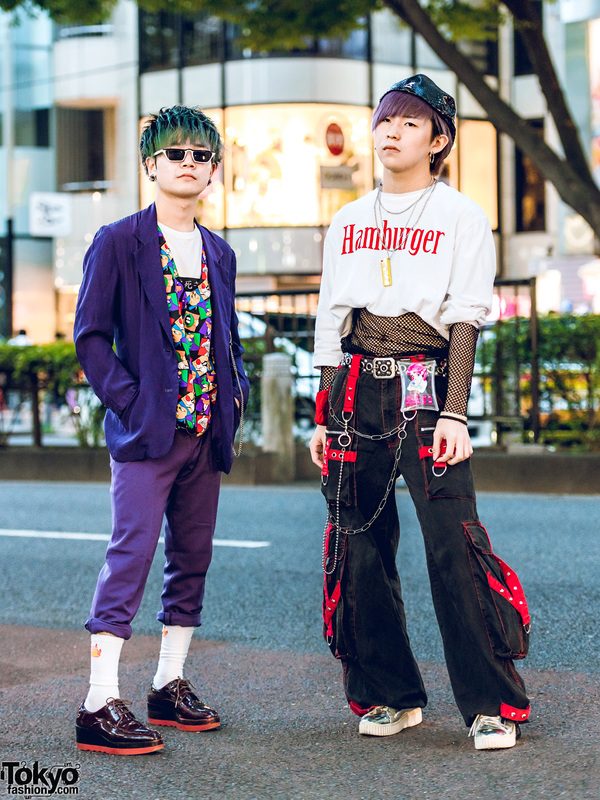 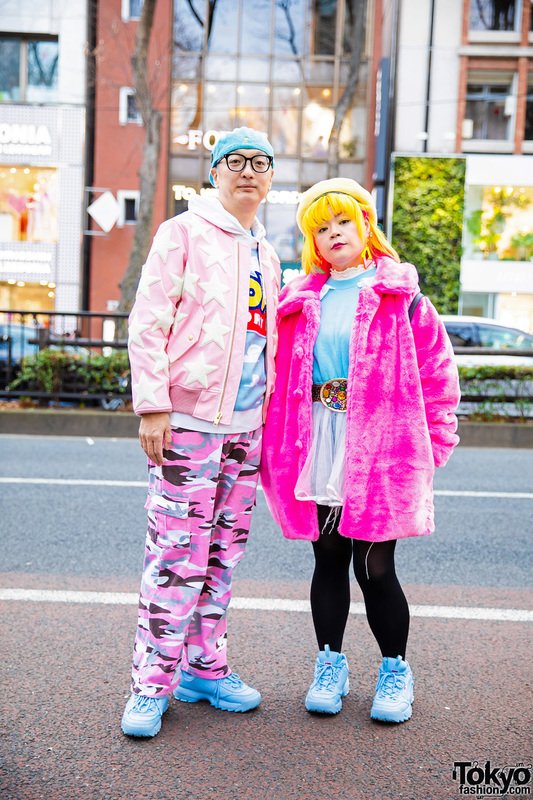 Japanese teens sporting colored spiky hair and all black edgy streetwear styles while out and about on the Harajuku street.